It's no secret that I have a mixed race family. Anyone looking at me and my son will clearly see that. While I don't shout it from the roof tops on this blog, I do try to highlight our tri-culture (Guyanese Caribbean, South Koren and American) in the photos we take. Some photos I share on the blog but many more are shared on my Instagram page. At first it was just a nice visual way to capture and share our moments. But I discovered posting our photos, especially when we're enjoying a mixed culture activity, had an unexpected but wonderful result. We connected with other mixed raced families! I was beyond excited to discover many other mixed race families, especially other Asian and Black families, sharing photos online. I even discovered an Instagram profile dedicated to sharing images of people specifically with Korean and Black heritage like my son. Seeing @therock live this week at @wwe was SO amazing for us. Of course I'm madly in love with #TheRock but more important my son saw another #blasian person like himself who's successful and well loved. A powerful moment for a little #mixedrace boy self esteem. I'm so grateful for this moment. I can't wait to one day meet #DwayneJohnson and thank him. Yes people I WILL meet him in real life and thank him. Wait and see! I also connected with the world of celebrities who share Asian and Black genes with my son and our Blasian community. Both my son and I are encouraged to see positive reflections of mixed race individuals and their families. By sharing my photos I joined an Instrgram online community that spreads awareness about diverse mixed race families. A community that was eager to share photos and connect with others via likes, comments and private photos messages. Connecting with other families is an amazing experience. Do you use Instagram to share and connect? 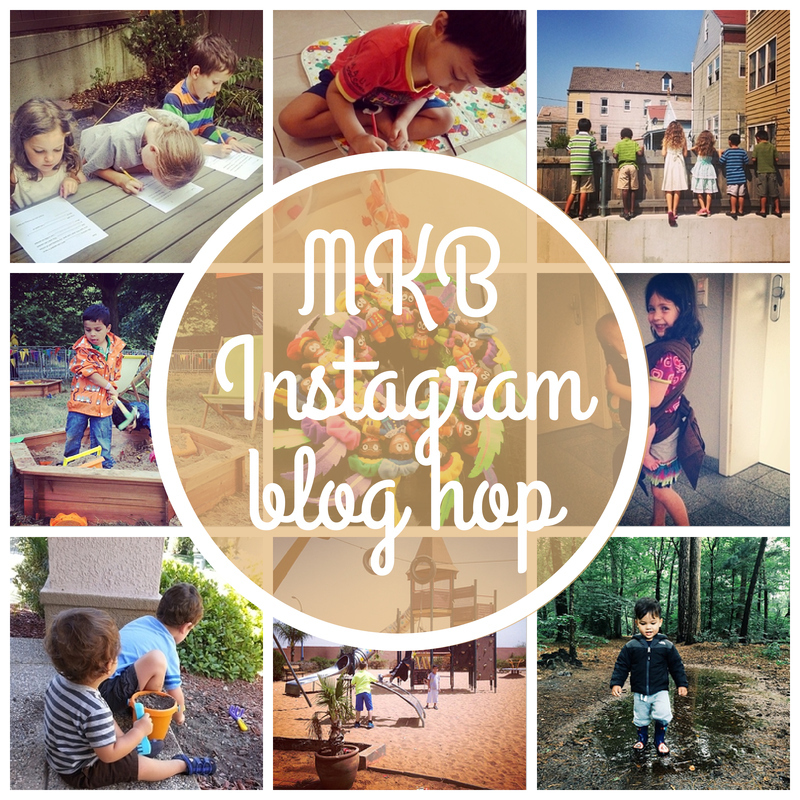 I'd love to see photos of you and your family so I've joined this Instagram Blog Hop honoring MKB’s second anniversary and families around the world! You can join in also! Be sure to visit our wonderful co-hosts, plus enter our giveaway and link up your Instagram profile! We want to see your family, and the beauty of diversity… help us showcase families from all over the world! One winner will receive this fabulous prize package!